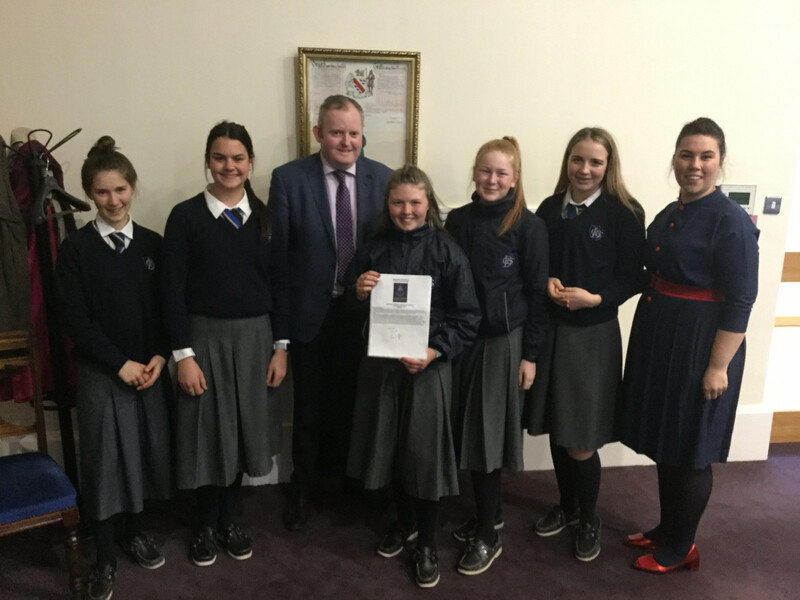 Girls of 3 Green proudly had their motion to make Dundalk more accessible to the visually impaired read out, and adopted, at the meeting of the Municipal District of Dundalk on Tuesday April 2nd. The motion, put forward on their behalf by Councillor Emma Coffey, read: “That Louth County Council adopt “The Good Practice Guidelines on Accessibility of Streetscapes” as recommended in the above entitled Report in 2009 as carried out by the Irish Guide Dogs for the Blind in all current upgrade street works and all future street work upgrades in the town of Dundalk”. The motion was adopted by the Councillors present. A number of Councillors praised the girls for bringing forward the motion. Having the motion adopted was a fitting conclusion to their CSPE Action Project on Visual Impairment. The Project was undertaken by the girls in 3 Green: Laura, Emily, Jessica, Ffion, Lila, Mia and Sophie. 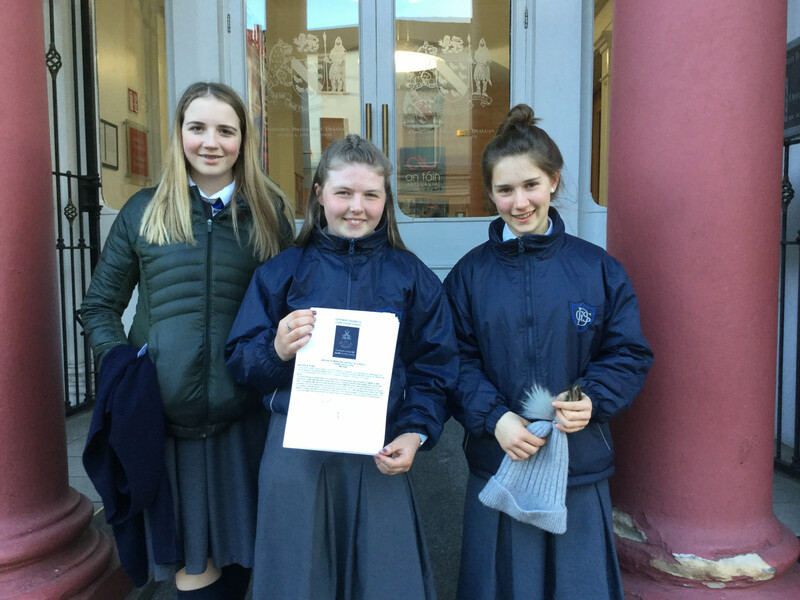 Congratulations girls on making a real difference, in raising awareness of Visual Impairment, raising funds for the Guide Dogs for the Blind, and in having your motion adopted.